Shown with Victoria Counter Table, Counter Chairs, and Counter Bench. 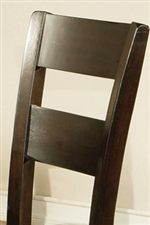 Shown with Victoria Table, Side Chairs, and Bench. Entertaining guests is made easy with this traditionally styled server. 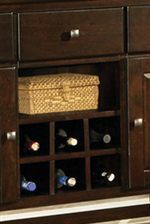 Designed for both formal and casual dining, this server features three drawers for storing silverware and miscellaneous serving equipment, two doors, an open shelf, and a built-in wine rack that allows you to display six bottles at a time. The Victoria 3 Drawer, 2 Door Victoria Server with Wine Rack by Steve Silver at Walker's Furniture in the Spokane, Kennewick, Tri-Cities, Wenatchee, Coeur D’Alene, Yakima, Walla Walla, Umatilla, Moses Lake area. Product availability may vary. Contact us for the most current availability on this product.